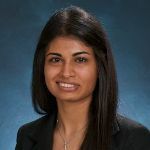 Nikita Shamdasani is a sophomore Morehead-Cain scholar at the University of North Carolina at Chapel Hill. She is majoring in Public Policy and minoring in Business Administration. She became interested and engaged in conversations surrounding USPS through a consulting class during which her team came up with recommendations to reduce USPS’s deficit. Nikita hopes to go into management consulting after graduation, with a focus on consulting to governmental agencies. Eventually, she hopes to work at the federal government level.